You all know how much I love tie dye, but for a while now I’ve wanted to try ice dyeing. 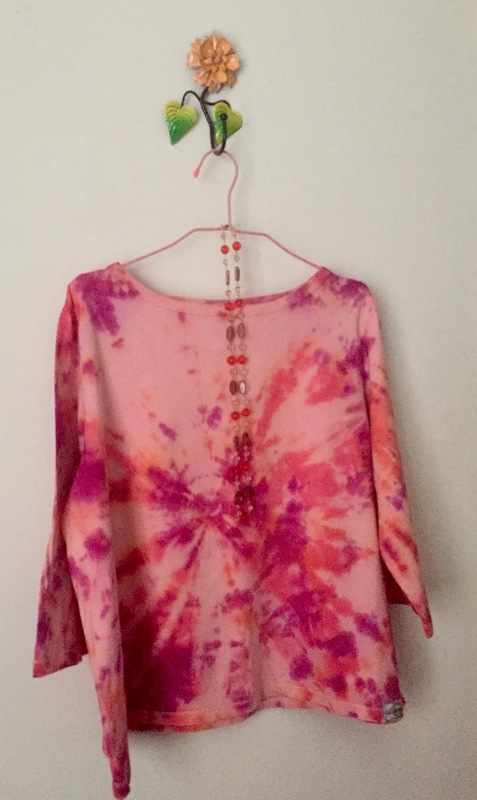 I went through my wardrobe and pulled out a few items to dye and bought a large Tulip tie dye kit, then set to work googling ice dyeing techniques! Turns out to be very simple! 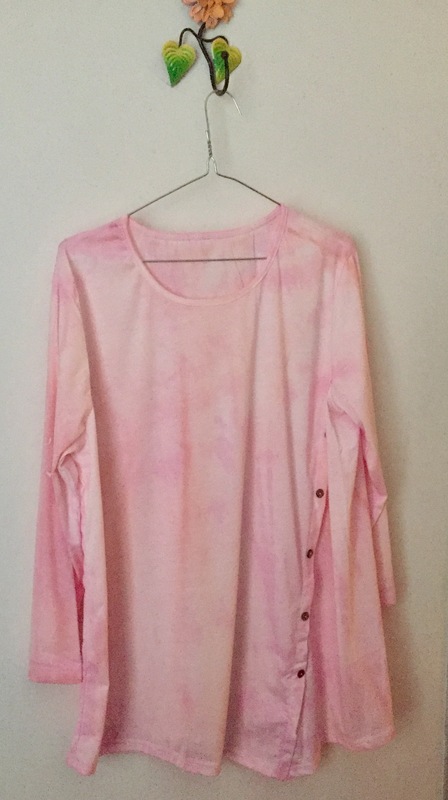 Even easier than tie dye!! Laundry tub or a large plastic container. A rack to sit the fabric on. Then it was a case of putting one on top of the other!! 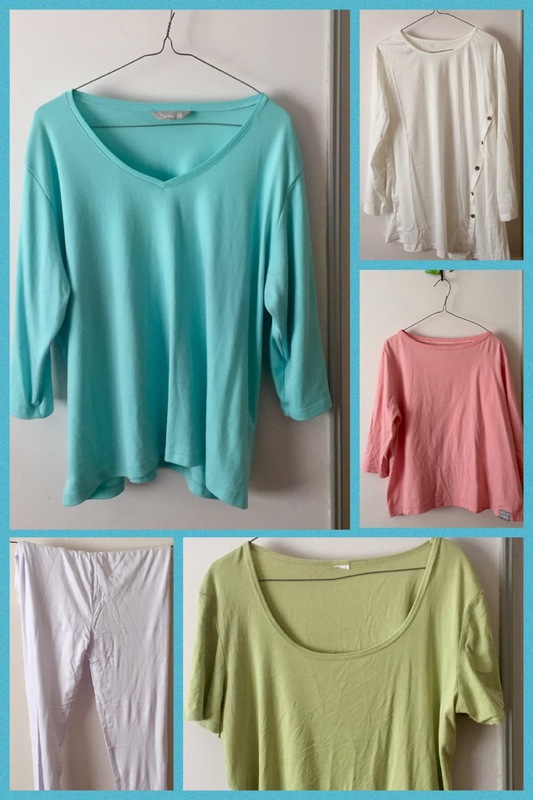 Rack in the sink, the pretty aqua blue top scrunched on top of the rack. 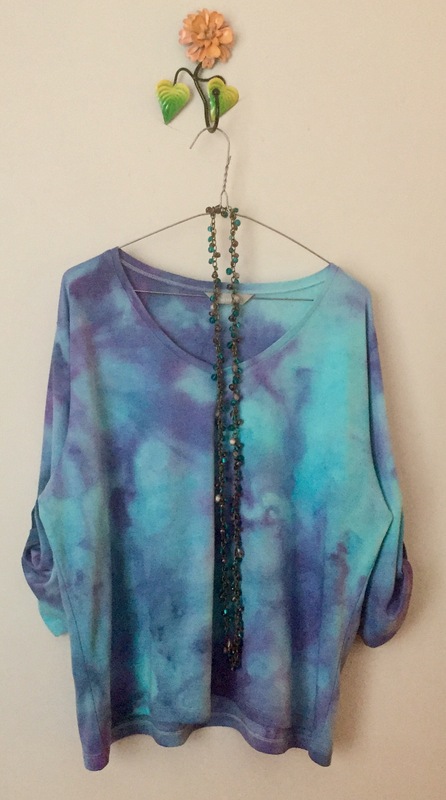 Ice onto the fabric then purple, turquoise and blue dye sprinkled over the top. It’s winter here so the ice took about 8 hours to melt, but this would be much quicker in summer. 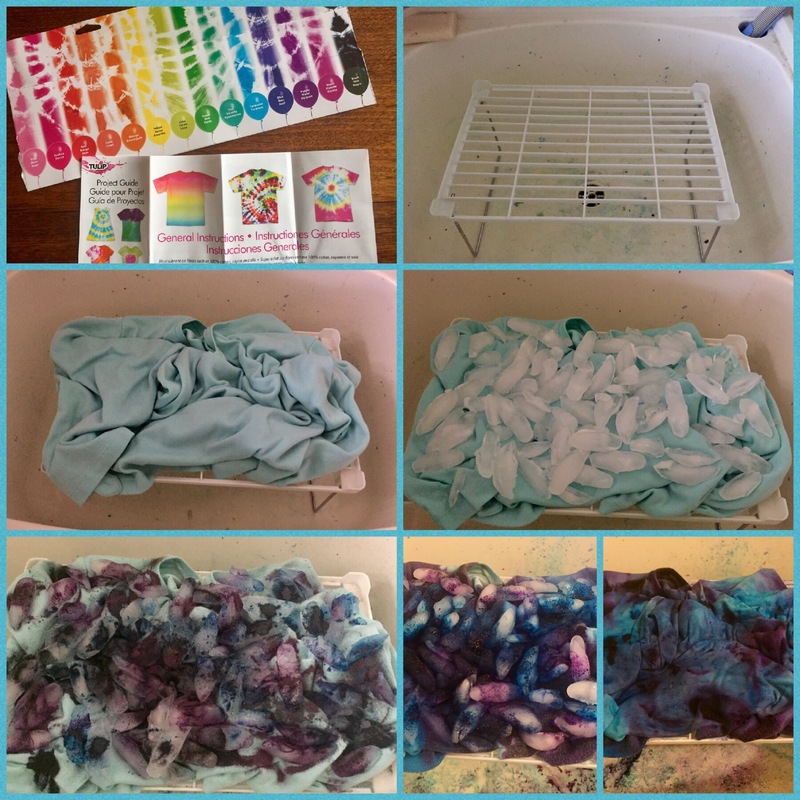 Then, as I had the dyes out, a bunch of rubber bands that came with the kit and some more clothes to dye I did some more tie dyeing. 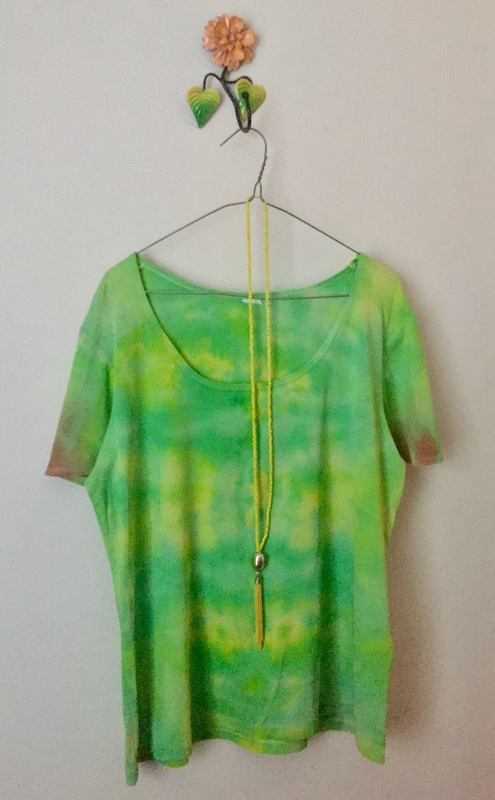 And I now have three new tie dyed tops (the white one must have been polyester cotton blend, as the result was very pastel) and a very bright pair of leggings! 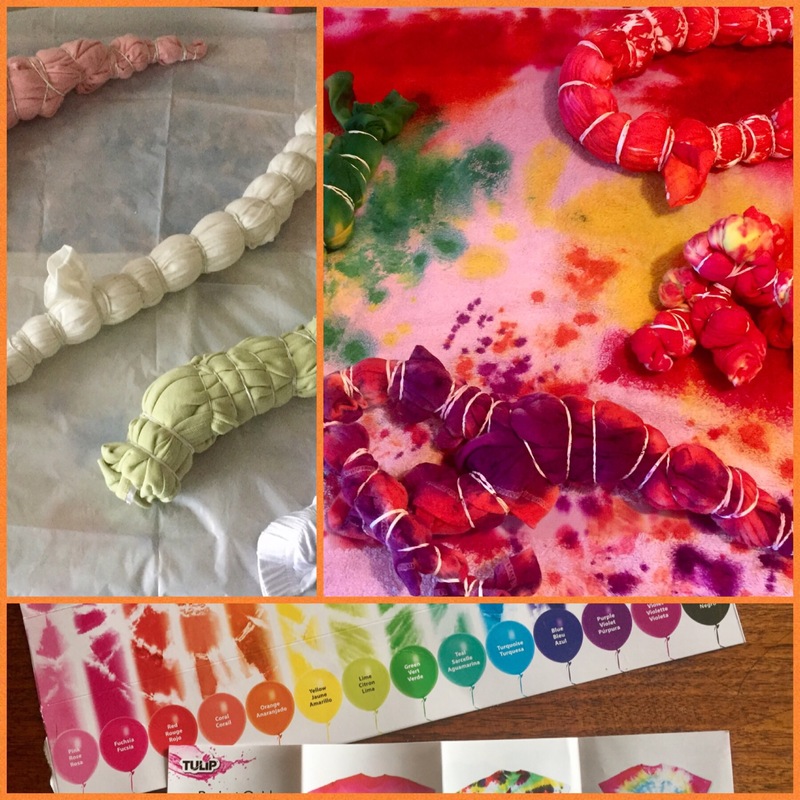 This entry was posted in Craft Projects and tagged boho, bright, color, colour, craft, create, diy, dye, fabric, inspiration, make, making, Rainbow, recycle, tie dye, upcycle, upcycled, upcycling. Bookmark the permalink. Thanks so much Frilka! I’ve worn a couple to work now and had several compliments!